To look at the evolving supply market we have deliberately avoided the usual split between the UK’s big six and other suppliers. That’s not because that distinction is not a valid comparison, or doesn’t say something useful about the companies. But it is limited in trying to understand how the energy supply business is changing – not least because clearly the big six are developing quite different strategic directions and although they may want to retain market share, they could all end up in slightly different markets. What else is changing? Plenty. Among the major factors affecting the direction of travel of suppliers is local generation and changes in distribution and networks, which we’ll be looking at in later articles; more reliance on weather-dependent forms of generation, which may require response from customers; and smart meters, which will provide detailed information about customer usage and give the option of better – and perhaps better paid – management of the demand side. If we don’t split the industry into “big six” and “other” how might we look at it? 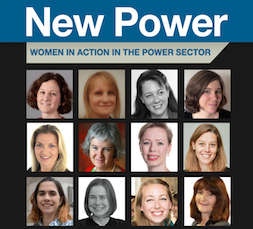 At New Power we’ve split the energy supply industry into ten more or less distinct categories. No-one will agree with this landscape in its entirety and some may have objections about the company they keep. Some companies pop up in more than one category. We’ll be glad to have your responses. Most energy companies would argue that, increasingly, they put the customer at the centre of their operation. In our analysis, some types of company are indeed emerging as customer specialists, but some are differentiating in other ways. These companies operate throughout the old energy value chain model, with interests at every stage of power production and supply. They also have transmission and distribution network, which under EU rules are functionally separate. Both “Scottish” companies come into this category. Scottish Power parent Iberdrola is a global player with this structure. SSE shares Iberdrola’s vertically integrated structure but its history gives it a strong Scottish identity. We think two companies fit best into this category of organisations, for whom growing the customer base goes alongside growing and maintaining the electricity generation portfolio. These companies invest in their own electricity generation and tend to hold it for the long term. EDF Energy, and Ecotricity are our examples here. Ecotricity, in particular, links power supply specifically with wind farm expansion. British Gas might have sat comfortably in several of our categories – especially taking into account its parent, Centrica, and that company’s upstream gas businesses. Looking at the British Gas business, however, we think that the company has been the most successful in selling itself as an energy “one-stop shop” company. It links energy supply and home energy services (for example in boiler repair and supply) and is extending that to smart meter supply and home energy management with its “Hive” thermostats. It’s worth noting that this approach includes regular face to face customer contact and access to the property, to perform boiler servce for example. That could help build loyal customer relationship. This is a new approach to domestic customers, although it is one that is familiar for large industrial and commercial users. In this category you are exposed to the granular activity in the energy market and have deep understanding of the times when energy costs are high and low - the key customer proposition is that the supplier manages that for you, using your flexibility alongside that variability to get the best deal. We are at the early stages of applying this approach for domestic customers but it is set to grow as variable generation and smart meter data combine. Tempus Energy is our example here, but it is not the only company starting to act in this way, even if only at pilot scale. Co-Operative Energy this month announced plans to allow some customers to use cheap power from the Westmill solar farm (see news section), and it is a key component of smart meter and network trials in Manchester. The explosion in domestic energy generation, especially in the form of PV panels, has taken most electricity suppliers by surprise. Their only role has been to provide export tariffs for the power produced. Good Energy is the standout exception: it has taken on thousands of customers with domestic PV panels. It earns a regulated return from the management fee paid by Ofgem for administration for those customers, and it is also able to use the aggregate domestic generation to reduce its costs trading and balancing power for its other customers. Is it alone in this approach? It may not be, in the long run. “New E.On” may have something similar in its sights. E.On stated from the first announcement that a renewables and consumer supply company would be spun out of the parent E.On that growth in the new company would stem from providing additional products to its power customers, in the GB as elsewhere. E.On has already started providing battery storage to customers with PV in its home market in Germany: once the new company is in place in 2017 it is likely to look at the UK “prosumer” market too. Among the interesting energy suppliers that have joined the market in recent years are those with the simplest message or those targeting a defined customer group. Utilita’s focus on the pre-payment market and Spark Energy’s focus on lettings and the rental market, are examples of the latter, and the rollout of smart meters could see very well-defined groups being targeted. At the other extreme, the promise of companies like Oink to offer nothing but a simple low-cost energy tariff may be a successful niche in a more complex energy market. At its simplest, this option arises because companies providing electricity and gas to a property can potentially reduce costs and retain customers by providing them with other utilities as well. Telecom Plus is the obvious example: it offers electricity, gas and telecoms to its customers. On some sites, however, SSE has taken the model further. It is a so-called “inset” water supplier, with a 25-year concession as water supplier, at dozens of developments – which may also include heat provision, as in some developments a combined heat and power project offers power and heat supply to the properties on a long term contract. Energy supplier Ovo would like to expand its offering to customers, initially to include telecoms but with other services in the offing. The model is subtly different from the multi utility suppliers and the energy services specialists, which are essentially feeding-in defined physical services. Ovo’s philosophy is based on activities the customer wants to pass on: if you have a good experience getting your energy from Ovo why wouldn’t you use it to ? That is a very open proposition. Once smart meters have been rolled out there may be competition in this sector from existing home service companies like BT and Sky, who can offer power alongside entertainment. For a while before Ofgem’s retail market reforms were implemented it seemed as though the major retailers would finally enter the energy market, mostly in the form of white label products from the big six. That entry has been delayed again but some players, notably Sainsbury’s, remain. It seems unlikely that major retailers will stay out of the market once smart meters have provided the means to extract more data and more value from customers. We still expect that two types of company will join in. The first is retailers, who already have in-depth information on their customers and can offer power alongside other necessities – perhaps as a product offered to online shoppers. Local authority and consumer interest companies. Our article in this issue discusses how local authorities – led by Bristol and Nottingham are turning to energy supply as a way to access the benefits from local energy generation. At the same time they are keen to offer better value to local residents. Some will be community interest companies, some energy suppliers in their own right and some white label providers. It is possible that other types of public organisation may follow suit – housing associations have long been interested in investing in renewables and in some cases do supply power to residents, for example, although their freedom of action may now ben limited by changes in the housing market. In this attempt to categorise suppliers we’ve managed to find categories for most of the energy suppliers currently in the market, with one, so far, straddling two categories. We haven’t taken into account companies’ “green” propositions and that may be a failing. Nor have we highlighted companies selling on rock bottom price. We haven’t yet placed First Utility, perhaps because it has been the alternative to the big six for many years. Interestingly, one of the hardest to place is one if the big six: RWE Npower. At the moment it seems to be trying out a variety of different appraches. It has a services business (and the Nest thermostat offer) but is making a very slow start on smart meters. 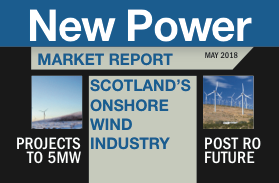 It is a big wind power developer (RWE NPower’s UK portfolio in development, apart from a CCGT at Willington, is entirely in the wind sector, developed under its RWE Innogy brand), but Innogy is acting less like a traditional utility and more like a developer, selling large stakes in its portfolio to fund further development. There is speculation about the long term shape of NPower parent RWE as a result of changing markets across Europe and especially RWE home market Germany. That pressure has resulted in dramatic change at E.On; will RWE take similar action? It’s not yet clear whether RWE will change direction: it’s one utility that doesn’t fit easily into any of our categories. Meanwhile,large suppliers do seem to be reacting to market changes. At one time during the last decade’s slow decision-making process on smart meters it seemed that the rollout might reduce the major energy suppliers to the role of bulk supplier, as nimbler companies, or those with a more favourable image took over supply. That could still happen, but at this point it looks like an out of date view – not least because it assumed there would continue to be a bulk supply business split between the big six. From the viewpoint of 2015, the supply landscape looks much more interesting, with over a tenth of total supply coming via independents . Traditional energy companies cannot rely on being the large backer to a customer-facing company. They have to have a proposition of their own.